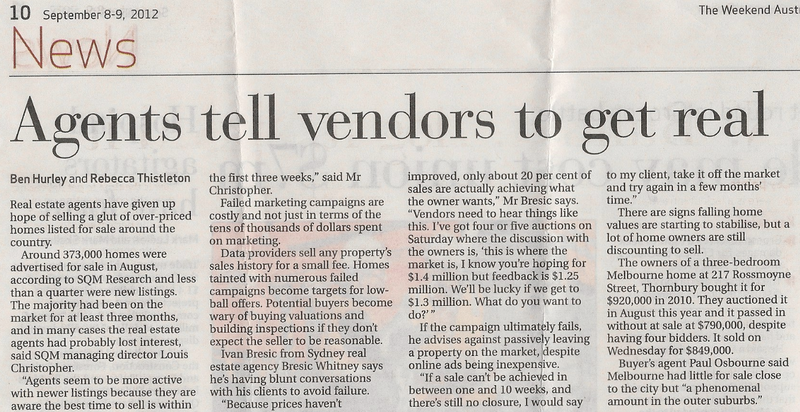 An article in the Weekend AFR: Agents tell vendors to get real. 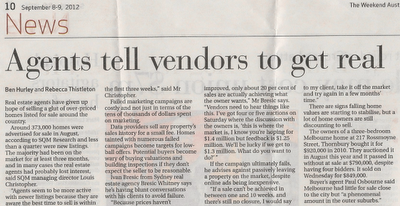 "Because prices haven't improved, only about 20% of sales are actually achieving what the vendor wants. ... a lot of homeowners are still discounting to sell." Click on image below to get full size story.